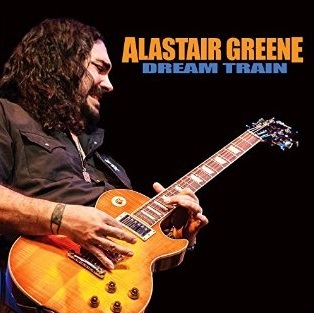 ALASTAIR GREENE | Official website for Alastair Greene | News : DREAM TRAIN CD RELEASE PARTY! Alastair Greene’s musical journey has been anything but traditional. His combination of Blues, Southern Rock, and Jam Band sensibilities has been thrilling audiences for nearly two decades. With recent performances at the Chicago Blues Festival and the Big Blues Bender in Las Vegas as well as a recent tour filling in on guitar with Starship featuring Mickey Thomas, and many guest appearances with such luminaries as Eric Burdon, Walter Trout, Coco Montoya, Savoy Brown, John Németh, and Debbie Davies, it’s crystal clear, Alastair Greene’s star is headed up there.